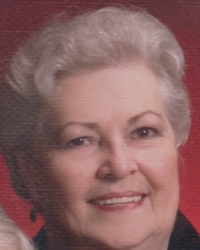 Mrs. Janice Marie Jones, 75, of West Point passed away early Thursday morning at Wellstar West Georgia Hospice. Mrs. Jones was born July 6, 1943 in LaGrange the daughter of the later Olin Claude and Mary Kate Waller Moore. Mrs. Jones was a member of Grace Baptist Church and a former employee of Playtex, Chalk Line and Signal Knitting Mills. She was preceded in death by her Brother, Perry Moore and James Moore. Memorial Services for Mrs. Janice Marie Jones will be held at 3:00 P.M. Monday, November 19, 2018 from Grace Baptist Church with The Reverend Donnie Benefield officiating. The family will receive friends at the George Harris Fellowship Hall after the memorial service.